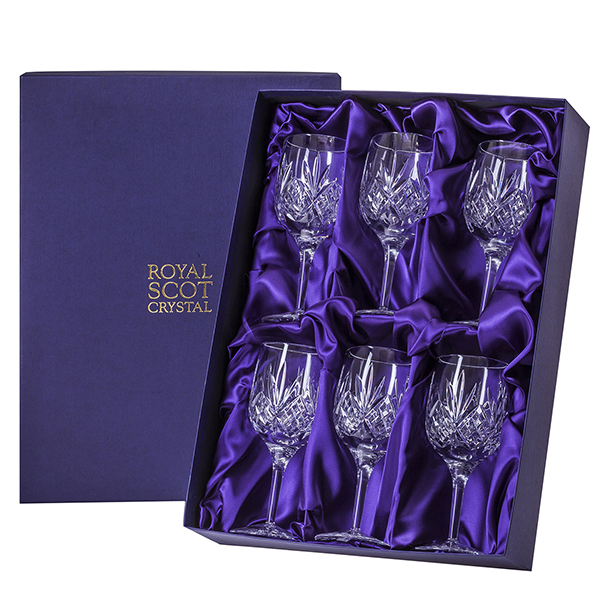 Presentation Box (purple) of 6 Highland Large Wine (New shape) The traditional hand cut diamonds and fan design embodies the spirit of the glassmaker. This distinguished wine suite was inspired by the Highlands of Scotland. 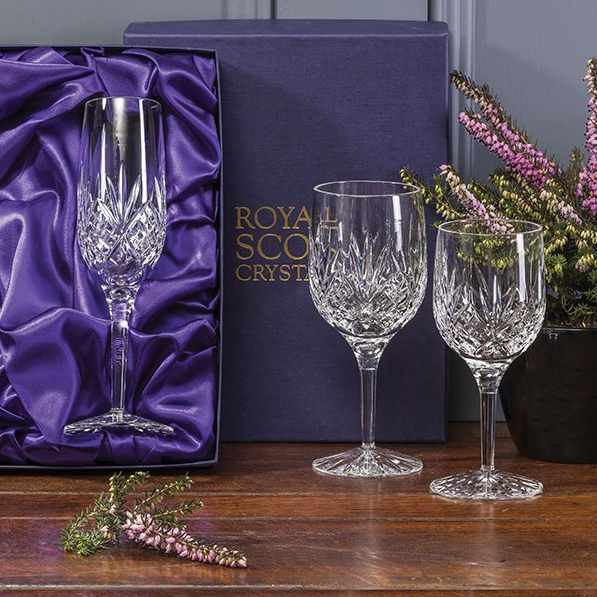 The Royal Scot Crystal Highland Large Wine glasses are ideal for drinking red wine, water or a large rose or white wine. 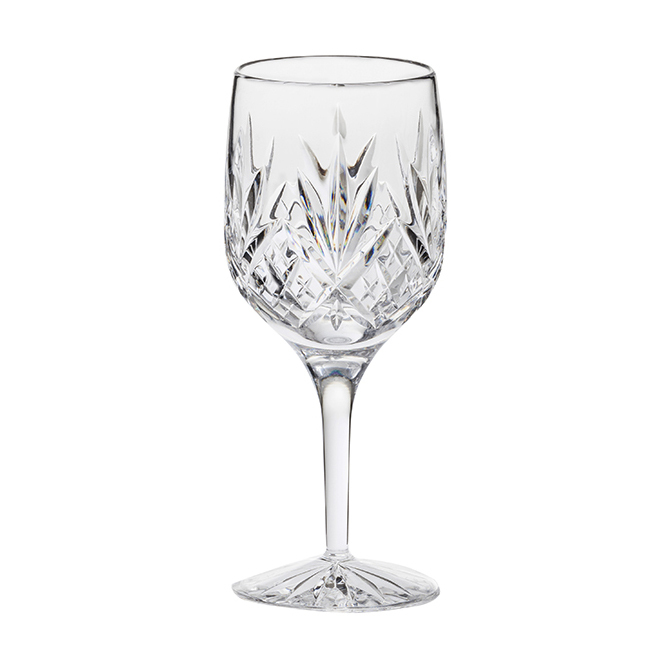 If you prefer a smaller glass we also have a Highland small wine glass. Supplied in luxury purple satin lined presentation boxes.